How did all these influencers, bloggers and vloggers suddenly become interested in the app? And, why are they singing your praises? Unfortunately us cynical PR folk know that there must be something behind the uptake. Right, before we continue, let’s back up a minute. Some of you won’t even be aware of what Vero is, and that’s ok, here’s a quick overview to bring you up to speed. 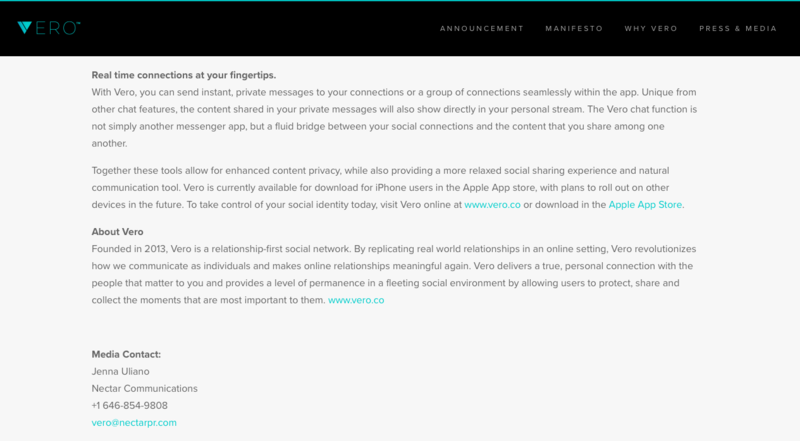 Vero is a relationship-first social network, focused on providing users with a unique platform to share content and interact with others, by mirroring real-world relationships in an online setting. That’s taken from Vero’s 2015 press release which also reveals that Vero was founded in 2013, not 2015 like everyone has incorrectly reported. 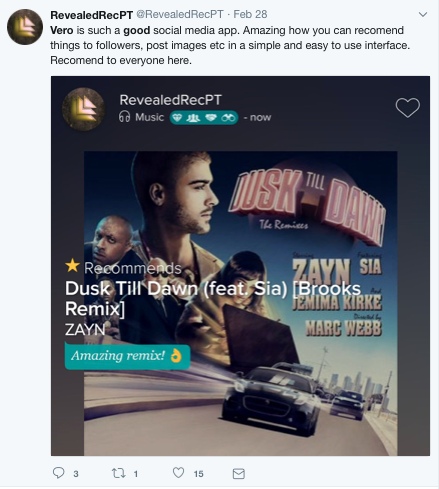 To put it in English, Vero is a blend of Facebook, Twitter, Instagram with influences from Pinterest. It aims to be advert free and charge a subscription fee. 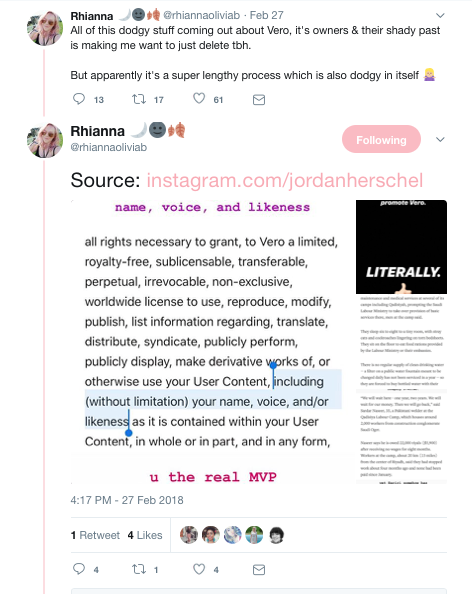 What’s Vero’s unique selling point (USP)? These features aren’t big enough to distinguish Vero apart from the big three, Facebook, Twitter and Instagram. The app doesn’t really have a USP. At the moment they are promoting that the app will require a subscription, making it pay to play. A subscription social media app is not a USP. Social media isn’t social if it’s not inclusive. Put a pay wall up and then it becomes a members club. By adding the pay wall it does become exclusive but at the price of becoming elitist and that’s not what social media is about. Over the weekend of the 24 February lots of influencers suddenly started talking about the app across all social media platforms. Lots were advocating the platform encouraging others to sign up. Vero added a form of exclusivity by saying the first million to sign up could become life-time members who will never have to pay for the app. Now, I don’t speak for everyone but, I don’t like being conned. If Vero has paid influencers to praise the site then I feel conned. At least when I read someone’s blog or review it states whether it’s an advert or a paid partnership. Transparency is key on social media, especially when someone is endorsements and sponsored posts. Could this person be a paid ambassador for Vero? I should imagine that some of the hype has also come from the dissatisfaction about Instagram no longer having a chronological feed. Users moving away from Snapchat thanks to a direct blow from top influencer, Kylie Jenner, will also help competitors like Vero. What’s the verdict on Vero? User reviews about Vero haven’t been great, you only need to spend five minutes on Twitter to get a feel of users frustrations. Click here to link to a Twitter thread which sums up lots of people’s concerns about Vero. This Twitter thread is really interesting, it highlights the exact parts of the terms and conditions which people might have a problem with. Dogged by glitches, strange terms and conditions and trouble to get accounts deleted are being reported by many users, including myself! There are even some reports of the app draining mobile phone batteries. Since being on the app I’ve experienced the glitches and read the terms and conditions. Now I’ve made the decision to come off the app I’m not getting any response back from Vero’s team about deleting my account. It’s frustrating and painful. Five days and counting – my account is still active! There is also a lot of speculation about the billionaire founders and CEO of Vero. 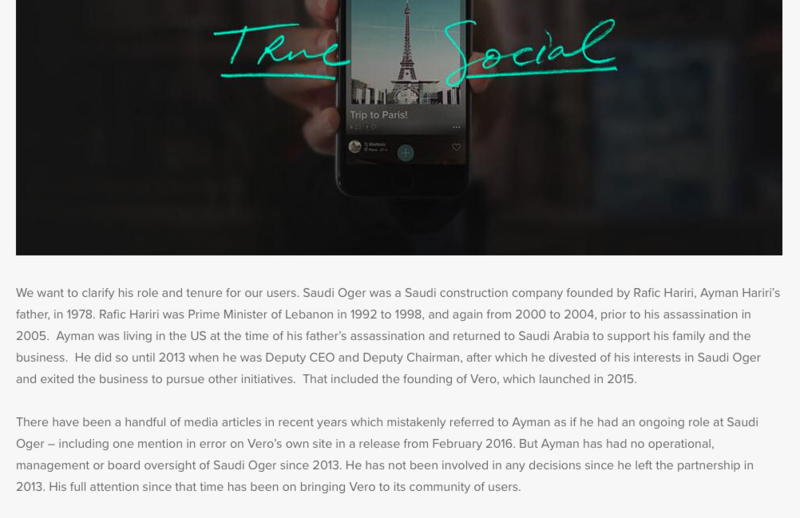 Read the statement on Vero’s website – Recent media coverage has questioned how recently Vero CEO Ayman Hariri played a role at Saudi Oger.At the moment, it’s only a week later and all is quiet again on the Vero front. The Vero hype has definitely calmed down as the UK’s snow situation has dominated social media, and pretty much everything, for the past few days. My personal opinion about Vero is probably quite clear. I’m just not a fan, because it doesn’t add value. I got bored on it very quickly as it wasn’t doing anything my other apps weren’t. Yes, it does look stylish but that didn’t sustain my interest for longer than five seconds, I need substance. And, the truth is I feel that Vero is missing the point. I want inclusivity. Social media is inclusive. A pay wall is not inclusive. That pay wall, when it kicks in, is going to stop a big section of society from using the app. I am not ok with that. Please share your thoughts in the comments section, it would be great to know what you think. 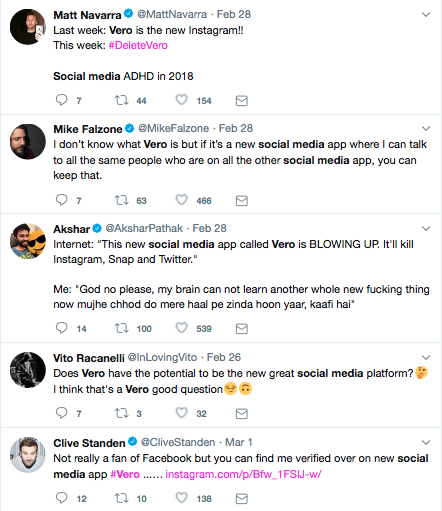 App opinion Social Media Vero What do you think about Vero? Ah that’s good to hear, don’t let my sour grapes influence you! They’ve hit the million users but, because their servers aren’t coping and they are still experiencing glitches they’re keeping it free. Who knows what will happen, I don’t think it’s for me though!